After a few pints of porter one night and some back and forth on the remodeling industry, an older Irish carpenter I met in the pub one evening told me, “the first two tools brought to any jobsite and the last two to leave should be a broom and a dustpan.” I couldn’t have agreed more. Though a 10 dollar broom might be a tad less exhilarating than your brand new compound miter saw or 80 lb demolition hammer, keeping things clean is critical to your success as a remodeling or general contractor. This edict is even more true in the remodeling context where we contractors invade our customers homes, kitchens, and bathrooms. If we don’t work hard to minimize our impact we will quickly turn into the Enemy rather than the Hero. A customer who has just surrendered their kitchen to you for two to three months is not interested in having you creep into the rest of their house as well. The best way for you to remain in a positive light, is to start clean, keep it clean and finish clean. Make it a mantra. Many people on the outside think of construction as a loud and dirty business, but it doesn’t have to be all that. Sell your service as an unobtrusive and clean process. Don’t allow spitting, smoking, or swearing on the jobsite, keep the radios to a respectable volume, and maintain cleanliness as a priority and a requirement. On our first day at a new project, we leave most of the tools in the truck. We focus on isolating the work area with plastic sheeting barriers and zipper entry ways. The Zip Wall system is excellent for this. We protect the floors with Ram Board, but we will occasionally use free cardboard salvaged from a previous job (especially cabinet installs which produce a lot of cardboard waste). With our work area isolated, we rarely have to spend anytime cleaning outside of it. We strategize on where to store our waste, and maintain a single entry/exit point for all the workers, such as a rear or side door. We minimize our impact and make it easier to keep the isolated areas clean. We leave empty trash barrels, brooms, dustpans, and vacuums on site for all of our workers and subs to easily access. Your attention to detail in setting up your clean jobsite also serve as a big, flashing, neon advertisement to your customers, subcontractors, and prospective clients: This is a Professional Jobsite. We Keep it Clean. Your customers will be impressed to see you’ve hermetically sealed the jobsite and happy not to have to dust off their dining room table before supper. Your subcontractors will find it much easier to maintain your standards of cleanliness if you provide them the resources to do so. Leaving a broom, a vacuum, and empty barrel within easy reach makes a huge difference. Your super clean jobsite is also a great advertisement for future customers who you may invite to visit the site, or who might see pictures you post on social media. Photos of a sparkling clean work in progress are certain to help separate you from your competition. As with anything we do as small business owners, we want to make sure it will help our overall bottom line, and maintaining a clean jobsite definitely saves you money in many ways. A cleaner jobsite is a more efficient jobsite; people work faster and happier in a more pleasant environment when they aren’t tripping over mounds of construction waste. Your subcontractors might even give you more favorable pricing if they prefer working at your superior site to another contractor’s. In working cleaner, we can also reduce our waste disposal costs by sorting recyclables, municipal solid waste, and construction and demolition debris, which all have different associated costs. Recyclables can quickly fill up a small 15 yard dumpster, and you’ll pay hefty minimum tonnage charges for light-but-bulky cardboard and plastic. As I mentioned before, cardboard is fairly useful on future jobs as floor protection, but it can also be used to wrap around easily damaged casework like door openings, balusters, and handrails, or provide a disposable dust mat for your entryways. Any other recycling from the jobsite can be put on the curb with the regular recycling. Municipal solid waste, such as food waste from lunch should not be thrown in with your regular construction debris. A dumpster or a few bags of trash may sit for a week or two before they are disposed of, not good if it’s full of food waste. You do not want your customer looking out at their driveway to see a host of horseflies and birds picking at an already unsightly dumpster. A tip I learned from youtuber Matt Risinger, is to keep a dedicated trash can on site for food and non-C&D waste only. My jobs are fairly small, so I will just dispose of these bags with my municipal waste at home, but your customer may be happy to put it out with theirs. Another tip: since your clients are not often home when the garbage truck comes and goes you won’t hurt your reputation by having your crew take their empty cans off the street for them. In the end, it’s a dirty business; there’s going to be dust and debris, but you can get out in front of it, contain it, and control it, or wait for it to become a mess. We prefer the former, that is, the easy way. No one likes working in a dirty environment, not to mention living in one. So for the sake of your customers, workers, subs, and your wallet: Keep It Clean. So you wanna be your own contractor? So you want to be your own GC on your upcoming remodeling project, eh? Well, first of all, good luck, you will need it. Contrary to popular opinion, though aligning strongly with common sense, being a general contractor is a learned skill which takes years of experience to master. Far too many well-meaning homeowners have made the mistake of thinking they can do away with this crucial individual and expect the same results–but it can be done by the well-prepared DIYer. First of all, what exactly does a GC do? A lot. The general contractor is a friend, a sounding board, a design assistant, an accountant, a magician, a manager, a salesman, an expert, and often the difference between a disaster and a thing of beauty. Not all GCs are alike or posses the same strengths. 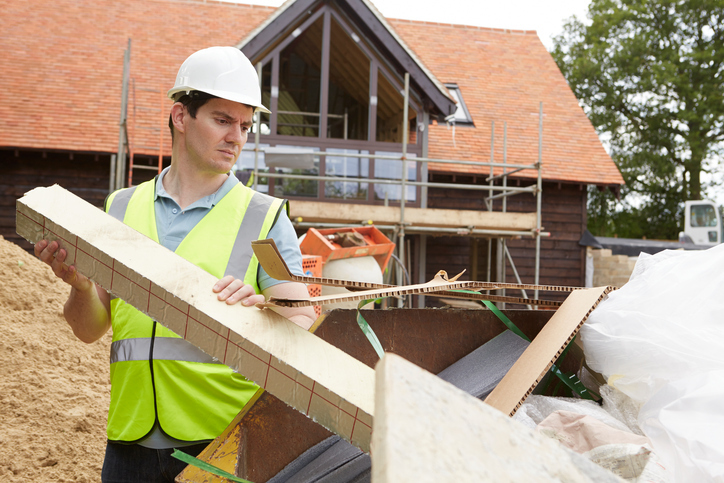 Some wear collared shirts and hold clipboards, others wear belts and boots, but they all are there to help you get your project done on time and on budget. If you want to act as your own GC, here are the most critical hats you must wear. There are a heck of a lot of moving parts and people on a jobsite. Someone has to keep it all together. The GC manages his employees and subcontractors, interfaces with the designer, architect, and engineer, and also, manages you and your expectations. He maintains communication with vendors and suppliers, and takes responsibility for fixing problems when they occur. Cabinets arrived broken? Subcontractors are late? Didn’t pass the rough inspections? Designer forgot to draw the built-ins? Dumpster is overflowing into the neighbors yard? The contractor addresses these issues as they arise to get the job back on track. When you are acting as your own gc, get to know your subcontractors and suppliers. Communicate with them throughout the project on your progress so they know when they need to be onsite. If the plumber shows up to find you switched from a 50 pound acrylic tub to a 500 pound cast-iron monster, he’s not going to be thrilled. The savvy GC would schedule the delivery on a day where there are more hands on deck. Every job is different and therefore has differences in costs, but a good general contractor can get into the ballpark at a glance. 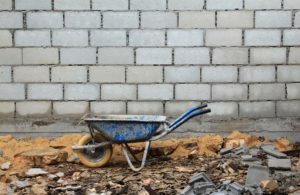 Estimating carpentry labor or the square footage of tile you will need before the walls have even gone up is a skill most homeowners may not possess. That decision you made to bump the bathroom wall over a foot may have seemed small, but the consequences–say an extra 80 square feet of expensive were not. Inexperienced homeowners will often overlook critical areas like waste removal, underestimated the length of the project and the number of dumpsters needed to manage all of the construction debris. While I’ve never met a contractor with a side business as a CPA, most smaller contractors run their own books, or at least used to in the early days, and therefore have a good sense of how to run a budget. A contractor will provide you with an overall job cost and make his or her business to stay within budget. When you take the reins, you will be responsible for keeping the money under control. Break down your project into subcontractors and materials, get quotes ahead of time, and stick to your numbers. If you find savings in one area, hold off on splurging on that fancy vanity, until you’re certain you won’t need it elsewhere. Well let’s face it, you’re not going to top a GC’s 25 years of experience in the field, but you can at least get a head start. The internet is packed with information on remodeling and construction, whether it be trade magazines, blogs, tv shows, or youtube, you have to read, watch, learn, and repeat. Study up and talk to the experts, that’s how most GCs get their training. Spend an hour at the paint store talking about VOCs, sheen, and coverage; talk to the plumber about how the heating system works; call local haulers and talk rates and dumpster sizes. The bottom line is if you want to be your own general contractor, and put that extra money into your pocket or project, you have to act like one. This is a trade that people spend years learning; it cannot be learned overnight, but a determined individual who prepares himself for the task, will do just fine on a smaller project. You may not be trying to prove yourself or even looking for LEED (Leadership in Energy and Environmental Design) credits, but giving your home an environmentally friendly remodel will be your invaluable contribution to future generations by not depleting the current resources or endangering the environment. Here are some steps to ensure a green DIY project is met. Consult and start your remodel with a sustainable and green design. While this ensures you are happy with the end result, it also moves one step in the right direction to saving the world. Environment friendly building and remodeling materials not only help you enjoy lower utility bills but also give your home a better resale value. Examples of such materials include bamboo plywood and recycled counter tops. Find out recycling options-state’s environmental departments, waste management companies, and even green contractors should be able to guide you on recycling options for your remodeling debris. Salvage what you can and put it up for a sale, reuse it, or even donate it. Deconstruct instead of demolishing. In this way, you will be able to salvage a lot of material. With any construction project there will always be debris you can do nothing with other than dump. Waste notwithstanding, its disposal should be the least of your worries because affordable dumpster rentals are all over the country. A green mindset guides development decisions from the start. Integrating green principles into your renovation planning and design can give you up to 40% savings and 40% better performance. The right construction crew will be more than willing to deviate from standard design principles and go green. Conventional construction makes use of toxic paints and solvents that lead to overall health and safety issues. However, your green renovation should always use sustainable materials. Give your crew eco-friendly building materials, non-toxic paints and solvents, and let them be environmental friendly in their work. Any chance to use recycled material is a saving opportunity for your green renovation. Rather than dumping more and more debris into landfills, find a way of making it sustainable. It can be reused, recycled, or even sold. And for what cannot be useful, find an affordable dumpster rental that is environmental friendly for your waste disposal. Energy costs keep soaring with the growing strain on power providers. Your crew should have the option of installing clean and renewable energy. Nothing says green renovation more than wind and solar power. A very important element of sustainable construction is water conservation. Recycling water shows that your crew maximizes on available resources. Locally sourced materials reduce the carbon foot print, reduce transportation energy, create an efficient construction process, and even grow local economies. There are numerous sustainable solutions which if you lay down the right framework, will yield a lot of viable options. How Much Waste Do Kitchen Remodels Produce? Kitchen remodels can produce a lot of waste. If you are planning to do one soon, you may be wondering just how much waste the construction will produce and what exactly to do with it. How much debris the remodel will produce depends on several factors. The size of your kitchen will determine how much debris you’ll produce. A small kitchen won’t have as many cabinets, countertops or flooring to dispose of as a large kitchen. But what you are remodeling will make difference in waste, too. If you’re just replacing kitchen cabinets, you won’t have to worry about as much debris as someone who is gutting their entire kitchen and starting anew. Separating debris into plastic trash cans or simply putting it in piles will make it easier to dispose of once the demo is done. But there’s no way around it, you’ll need to rent a dumpster. If you’re having trouble determining how big of a dumpster you’ll need for your kitchen remodel, contacts us today. What I need to know about replacing my windows? There a number of reasons why you should replace your windows; be it that they are old, broken, among others things. The actual process of installing replacement windows might actually be more intensive than it seems. This is the reason why you need to know one or two things about replacing them especially if it will be your weekend DIY project. You may have avoided labor expenses. But you do have to buy the actual windows and a few other things right? Home Adviser averages new windows cost at a national average of $5000 with a low end of $2500 and high end of $15,000. Good quality windows should eliminate the need for storm windows as well as be easy to maintain and clean. Apart from new windows cost, you will also be paying utility bills for air conditioning and heating. Lucky you if you get windows with a good energy efficiency rating because you will spend less on utility bills. Triple paned windows may add some bucks to your new windows cost but provide significant energy savings and you will recover your costs quickly. Safety codes are for your own protection. For example tempered glass should be used in a window adjacent to a door or inside a bath/shower. Replacement windows only save energy when properly insulated. Ask for help if you need to know more about installing replacement windows if you need it. Local dumpsters are available in your area to help! Waste often ends up to be more than you planned for; spilling off into the yard, sidewalks and everywhere else. But you can comfortably, cost-effectively dispose debris. One way to do it is to recycle or even donate usable material. Sometimes what you can’t wait to get rid off may be just what someone else is looking for. For what cannot be donated or reused after your bathroom remodel, you will need to dump it. You may be a hands-on person who enjoys taking care of things yourself but get a professional because things can get messy, difficult, and sometimes dangerous. Professional waste disposal services offer dumpster rentals among other services to rid you of debris. However, disclose the waste in terms of amount, size, and what it’s made of. Much of the waste from a bathroom remodel can be donated, reused or even sold. Believe it or not, 22%-44% of our landfill comes from construction debris. A standard bathroom remodel can warrant up to a 40 Cubic Yard Dumpster. Check availability of Dumpsters in your area.